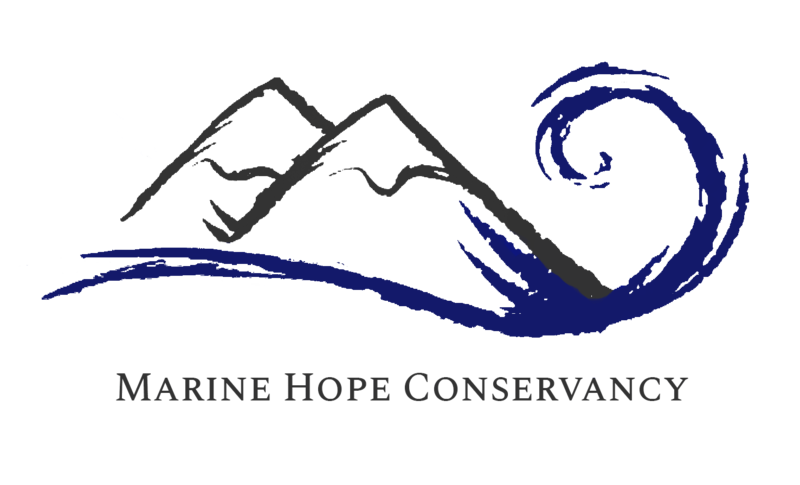 Who can apply to the Marine Hope Conservancy Internship? Anyone over the age of 18, of any nationality (including South African) can apply to join Marine Hope Conservancy. We cater to gap year students, undergraduates as well as post-graduates. 27 days starting on the 1st of every month. 2 weeks at any point of the month. Both packages are eligible for extension should you prove to be a valuable asset to our team. Interns will be busy with conservation and research projects. The many practical outings, research expeditions, school and community presentations, beach clean ups, tree society/carbon footprint projects. This internship is a multifaceted internship that covers all aspects of environmental conservation. Of course you must have some theoretical knowledge about the different subjects and to equip you better for this situation, routine input is given by our researchers. The great thing is that you will soon find that you can actually apply the theory in practice when you are out at sea. A core part of the assignment includes working with the public. Interns will eventually all be expected to participate in the various briefings and presentations. They will also be taught the basics of boat handling and given the opportunity to gain their hours at sea for their skippers course. To apply to the Marine Hope Conservancy you do not need to have any qualifications yet. You just need to be motivated and you must be willing to learn. You will see a lot of things you may have never seen in your life so just keep an open mind and take in the experience. How much does it cost and what does the fee cover? Please message us via the Contact Us link to receive an internship course fee and breakdown. Why do I have to pay to be an intern? The is little to no funding provided to local marine scientists, conservation and educational programs. Your payment gets broken into two components; the first section goes towards meeting the costs of your stay (accommodation, transportation etc. ), and the second part goes towards the operating costs of the projects. Where is Marine Hope Conservancy located? The interns will be staying at Ikhayalam Lodge. Ikhayalam is the local Xhosa word for home, it has 24/7 security with staff available at all hours to assist you with anything that you need. Ikhayalam Lodge is located in Summerstrand, one block behind the Kings beachfront. The house is within walking distance of the harbour, beach, restaurants, laundromat and grocery stores. What arrangements are made for when I arrive at the airport? Marine Hope Conservancy will meet you at the airport upon your arrival and transport you to the intern house. What should I pack for my internship? Once you arrive in Port Elizabeth, you will be met by a Kerry Moss, the founder of Marine Hope Conservancy. Kerry will be your host and one of your lecturers during your stay. You will then be brought to your internship home for orientation, lasting 1 to 2 days. This way you are able to meet the current interns at the house, and the Raggy Charters staff you will be working with, get familiar with the area that you’ll be staying in, and get used to the African way of life. It will also enable you to gather some basic information about life as an intern, in South Africa, and also give you the chance to get familiar with the currency, the shops and products available, modes of transportation etc. All the basics you will need to know before embarking on the projects. What does Marine Hope Conservancy do for me while I am interning? We will be a constant support to you while you are on the project. We can also help you identify and meet useful contacts in the area, assist with translation where necessary, and generally support you in whatever way you may require. We will provide accommodation for the duration of your stay. We are always on hand to try to resolve any difficulties our interns may be facing, whether personal or work related. We want everyone to enjoy their time here and hope that you will feel able to approach us about any concerns so that we can try to find a solution as quickly as possible. If you are unhappy on the project, we will endeavour to find a way of improving the situation.